In this part, we are going to design/create the database, build the chat interface and also implement the login and registration endpoints. The code is available on GitHub. This is the second part of this tutorial series. In the first part, we set up our working environment and also created the project. We were able to communicate with Flask from the Vue app. The area with the red border is our base component which will house other components. This is the entire app component area that Vue creates by default. The file is located in src/App.vue. - Users component. This component will be responsible for listing all our registered users. - Messages component. This component renders messages. - MessageInput component. This is the input form for sending messages. - NavBar component. This is the navigation bar at the top of the app. If you go through the Vue app in the project root folder, you will see a couple of files already created. Since we are building a one-to-one private chat, we need a way to uniquely identify every user of our app. We’ll do so using their username. This means they have to log in to use the app. Once they are logged in, they’d be able to see the chat interface above. We’ll also create a Login component which will build up the login page. Before we start building these components, let's add Bootstrap-vue to speed up the design process. Bootstrap-vue project already structures our normal Bootstrap into components which will be easy for us. You can read more on the documentation here. Vue will handle all the configuration settings for us. If the command ran successfully, you will notice a new folder named plugins in src folder. In this folder, you will also find a file named bootstrap-vue.js that imports the Bootstrap files. As mentioned earlier, the src/App.vue file is the main entry components housing all other components in the app. This means we’re going to import every other component to this file. <template> section. This section holds all markup, basically our HTML markup. <style> section. For adding styles such as CSS. This is our whole chat interface we have defined with some HTML, the bootstrap-vue components and our app components, which we have broken down in the image above earlier. // Declare pusher variable so it's global to this file. That's a good sign 🙂. The components we have created are all empty. The next thing we will do is to build up the components and then observe the chat interface come to life as we build along. You can leave the page open on your browser and observe the changes to the page when we update the component files. Here we added two input fields: username and password and a button to submit the form. Then we bind the input fields to our data. In the <script> section, we exported an object defining data for the component. Notice the v-for directive we are using to render our users. The users array will be passed from the src/App.vue component as property. 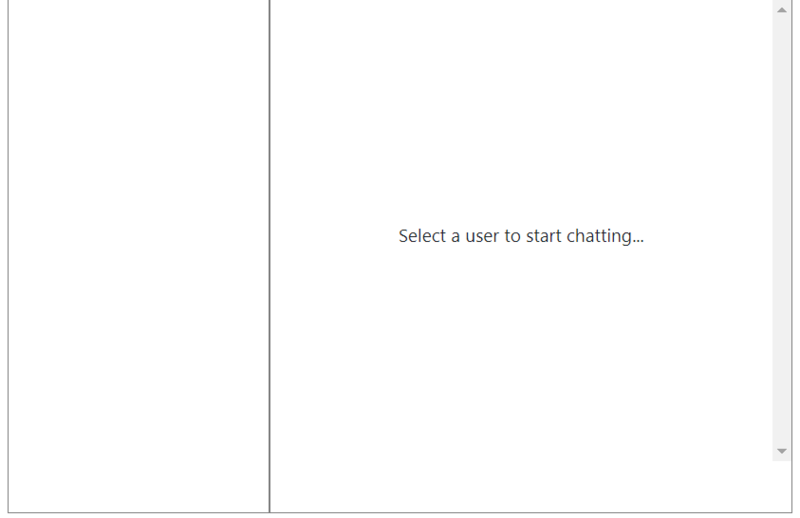 We are also using the v-on (v-on:click="chat(user.id)") directive to listen for click events when a user is clicked. If a user is clicked, we then call the chat function we have defined in the methods property. Also, in the chat function, we are emitting an event to src/App.vue so that the chat for that user can be initialized. Also, <span v-if="user.has_new_message" class="has_new_message" will display the text: “New message” on the users tab whenever they get a message from a user they are not currently chatting with. We now have our chat interface. Don’t worry that the login form and the chat area are together, we’ll fix it in the next part. We will use SQLite for the database. users — This will hold all the users in the application. 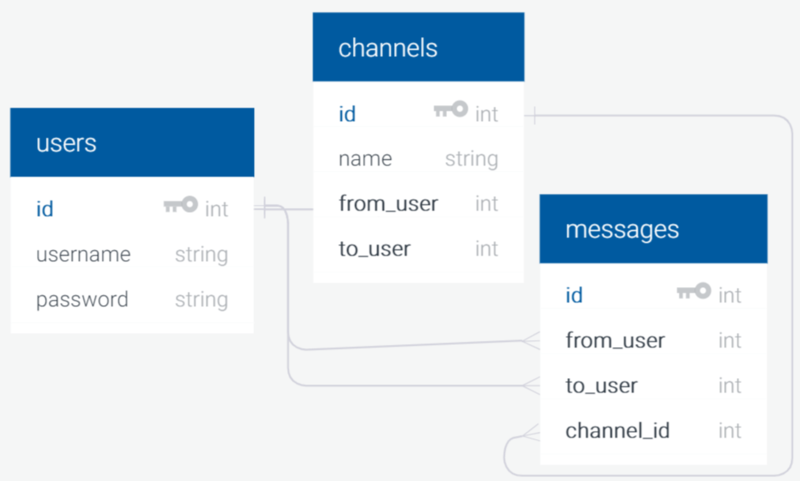 channels — Once two users start a conversation, we will create a new channel for them and store the channel name to the database. So that for subsequent conversation, we don’t need to create a new channel for them. messages — We’ll store every conversation to this table. We don’t want a situation where a user logs out and logs in again to find out their previous messages are missing. We are using SQLAlchemy to initialize our database connection. In the init_db() function, we imported our models and finally call Base.metadata.create_all to create all the tables specified in the model’s file. Let’s create a model for easy CRUD operations. In this file, we create three classes which define the structure of the tables our app will be using. If there is no error, a new file named database.db will be created in the api folder. ⚠️ You might get an error if your virtualenv is not activated. You need to activate your virtualenv before running the above command. We are almost done. We need some endpoints for adding and authenticating our users. The Werkzeug is a Python utility library which Flask depends on. Since we have installed Flask, we’ll also have access to the library. "message": "Could not add user"
Here we created a new route named /api/register which is only available via a POST request. It will accept JSON object containing the new user details - username and password. Close the first pop up that appears. Select POST as the request method. Add http://localhost:5000/api/register to the request URL field. Click on the Body tab right below the URL field. Then choose raw in the options that appear after the Body tab you just selected. In the same line with the raw option, select JSON (application/json) in the drop down. Make sure to replace <username> and <password> placeholders with the information of the user you want to register. Finally, click on the Send button to send the request to the server. Register a couple of users and note down their credentials. We’ll use it to test the app later. 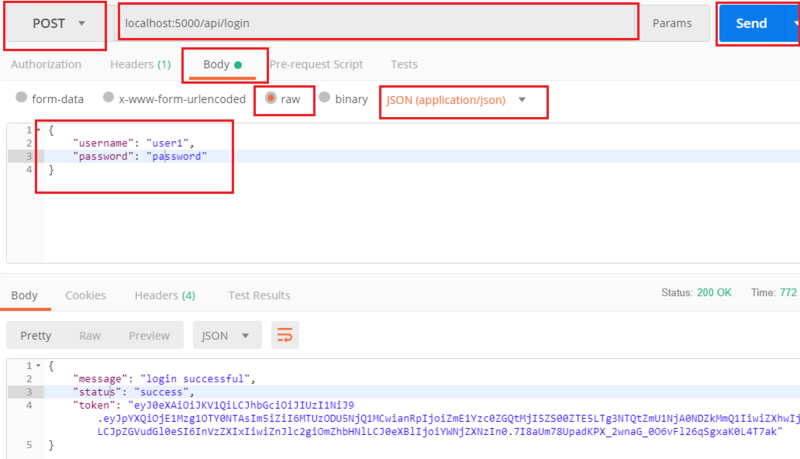 One way of securing APIs and single page applications is by using JWT. It’s an encrypted token generated to securely transfer information between services. To implement JWT for our app, we will use the Flask-JWT-extended package. We have already installed the package so we’ll go ahead and use it. JWTManager — The Python class for configuring the package to use Flask app config. jwt_required — A decorator for authenticating our routes. created_access_token — A function for generating a token. get_jwt_identity — A function for getting the identity (in our case the username) from a token. app.config['JWT_SECRET_KEY'] = 'something-super-secret'  # Change this! With this, we now have our login route - /api/login which is available via a POST requests. The route expects a expects a JSON object to be passed along that contains the details of the user. To test the login route, use the details of the user you just registered. 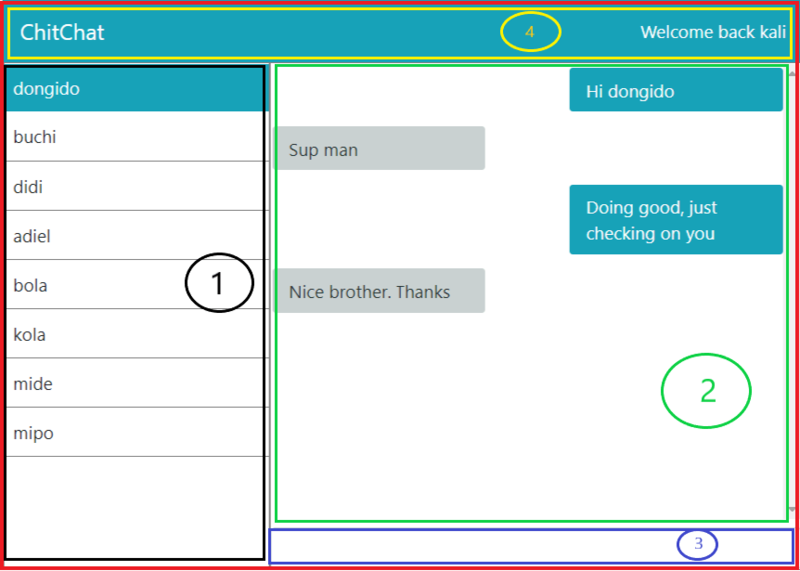 In this tutorial, we created our chat interface that was composed of Vue components. 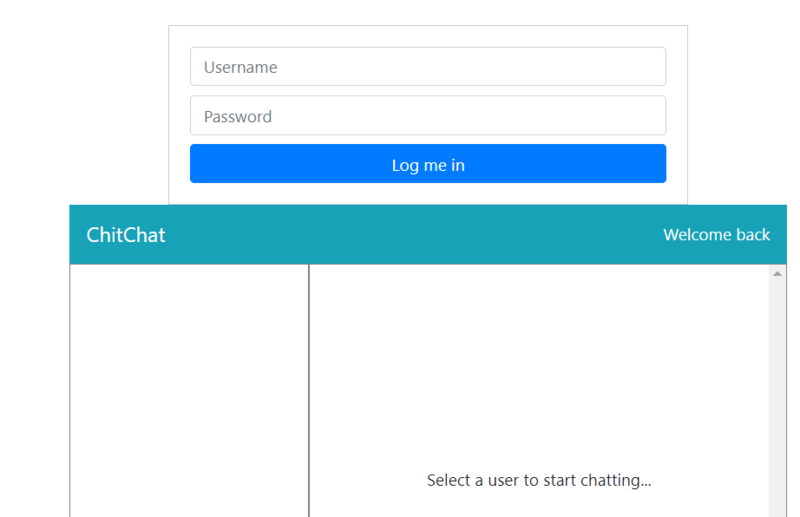 We also created the database for the chat application using SQLAlchemy. Finally, we created a login and registration endpoint and also setup JWT for authenticating users and protecting our routes.